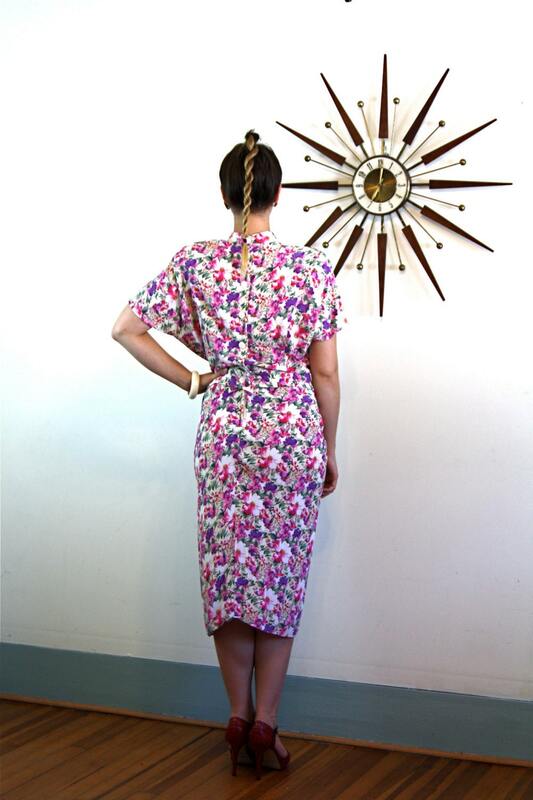 This is an absolutely darling, vintage 1980s floral dress! I love the pleating detail and the V shaped drop waist! 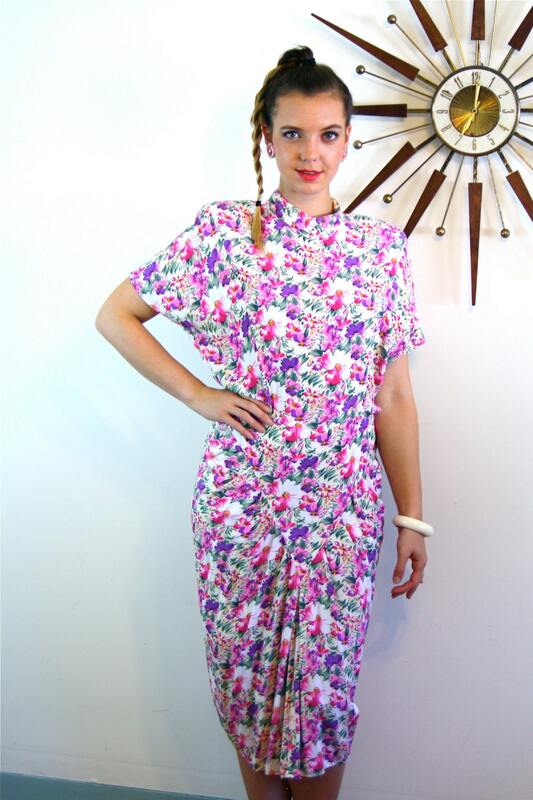 This beautiful 80s dress has a high collar and super big shoulder pads! This New Wave dress buttons down the back with 6 buttons and a zipper. It also has a tie belt in the back to get a perfect cinched waist! 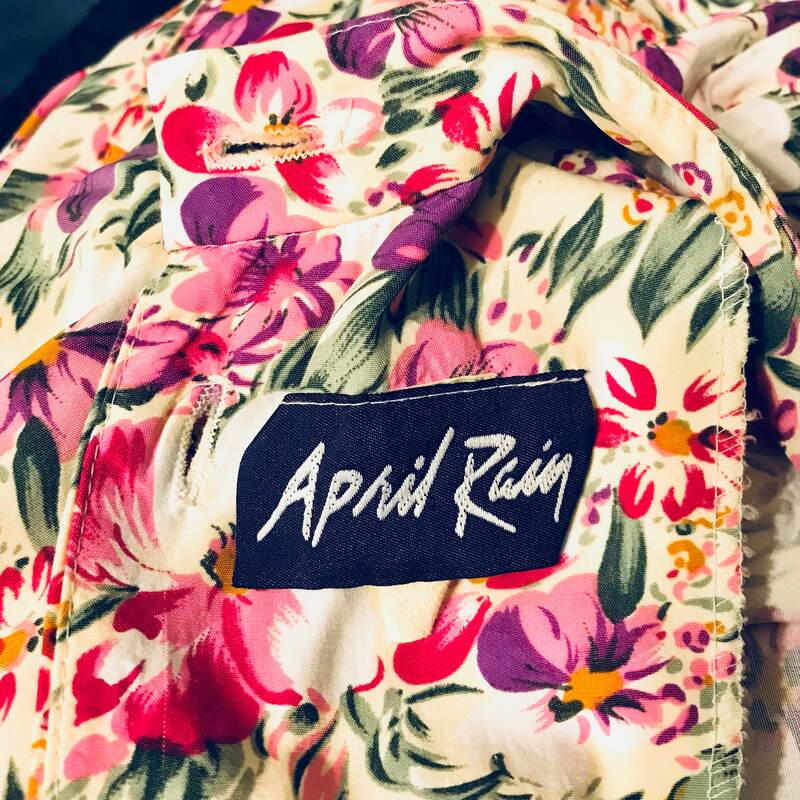 I absolutely love this floral 80s dress!! !